Make some easy camo gift bags with brown grocery bags or even lunch bags. You could actually make several camouflage bags while you are doing them, and have them ready when you want one to wrap a gift. 1. Prepare the paint. I didn’t have olive green paint, so I mixed black and bright green paints to get the color I wanted. 3. Crumple a small piece of paper and flatten the bottom. 4. Dip the flat side of the crumpled paper in one of the colors and pat it randomly all over the front of the bag. Leave quite a bit of the brown showing. 5. After you have one color on, repeat with the other color, overlapping in places and smearing a bit. 6. Let the front dry and then repeat on the back side of the bag. 7. After the back has dried, open out the bag and do some on each side – so that the whole camouflage bag is painted. 8. After the camo gift bag is dry, turn down about 2 inches of the top toward the back of the bag. 9. Punch 2 holes, one on each side of the center. 10. Put a piece of twine, string, or ribbon through the holes so the ends are in front. Tie a bow. Or just knot it if you want a more rustic look. The bow is nearly invisible, which makes it perfect for a camouflage bag. And your finished camo gift bag is ready for a present. What’s inside the bag? Duct tape, of course! If you use a large grocery bag, cover the store name with paint splotches. Use pinks, purples, or blues for a more feminine version of the camo gift bag. What a cute idea! Love it, especially for a boy! What a great idea!! I’m going to wrap my nephew’s gift like this! What a neat idea! So simple, but really effective! love this idea! i pinned it to my birthday board. it would be perfect for an army themed party! thanks so much for linking up to tip-toe thru tuesday! Too cute!! Thank you for sharing your creativity at Potpourri Friday! WOW! Too cute. I hope you link up to Wild West Thursday. Hope to see you there. Because we have to remember our guys too. 😀 Thanks for sharing your cleverness on BeColorful this week. I love this. Easy, fast, inexpensive to make! Hi there! I am having a Sunday Blog Hop and would love for you to link up your cute blog. Thank you so much for linking with Adorned From Above. Thank you for linking up to our Pinteresting Party. Very nice idea to decorate simply a bag, love the colors. Such a simple idea, yet SO effective!!! Oh Noreen what a great idea! usually gift bags are all girlly and frilly and so nothing for the boys. 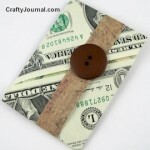 This is a great, easy and fast way to ‘wrap’ a gift for a guy and really, girl too! Thanks for sharing at the creative challenge!